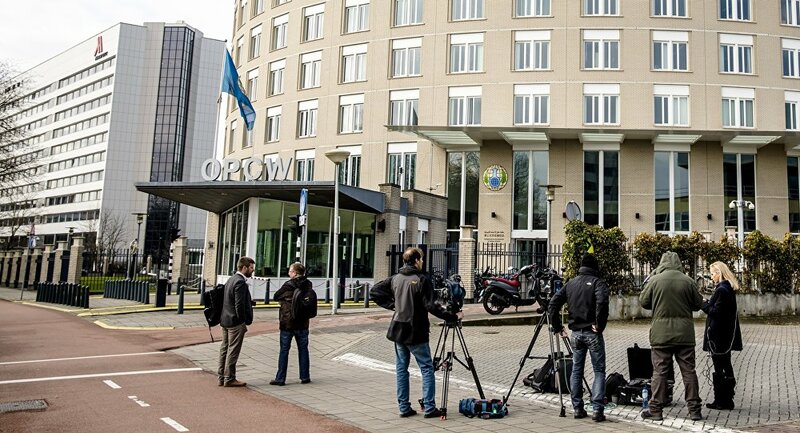 As London continue to accuse Moscow of orchestrating the poisoning of a former Russian spy despite the lack of evidence to back up this claim, with the UK and a number of other states expelling Russian diplomats over the matter, the OPCW moves in to deliver a verdict of its own. MOSCOW (Sputnik) —The Organisation for the Prohibition of Chemical Weapons (OPCW) has confirmed that former Russian spy Sergei Skripal and his daughter Yulia were poisoned with Novichok nerve agent in the United Kingdom, the Sky News television channel reported Thursday. According to the report's summary delivered by the organization's Technical Secretariat, the toxic substance was of high purity and contained almost no impurities. "The TAV [technical assistance visit] team notes that the toxic chemical was of high purity. The latter is concluded from the almost complete absence of impurities," OPCW surmised. The organization also added that the name and the structure of the poisonous substance are contained in the full classified report which will be available to all member states. "Today the international chemical weapons watchdog have confirmed the findings of the United Kingdom relating to the identity of the toxic chemical used in the attempted assassination of Mr Skripal and his daughter, and which also resulted in the hospitalisation of a British police officer. That was a military grade nerve agent – a Novichok," UK Foreign Secretary Boris Johnson commented on this development. The foreign secretary also once again claimed that Russia was responsible for the poisoning as, according to him, it's the only entity that had "the means, motive and record." "We will now work tirelessly with our partners to help stamp out the grotesque use of weapons of this kind and we have called a session of the OPCW Executive Council next Wednesday to discuss next steps. The Kremlin must give answers," he declared. However, Porton Down scientists pointed out earlier that they couldn't trace the chemical agent's origin. The Skripals were found unconscious on March 4 on a bench at a shopping center in Salisbury. London promptly accused Moscow of orchestrating the attack with what UK experts claim was the A234 nerve agent. Moscow has denied having any involvement in the poisoning, pointing to the lack of evidence provided by London to substantiate its accusations. Shortly after the incident, London has expelled 23 Russian diplomats, with a number of other European countries and the United States following suit.